Our new Urban Collection is sleek and contemporary and embodies the clean styles of Metropolitan Design. The Apex Industrial Leg was designed with 1950s Industrial style furniture in mind. 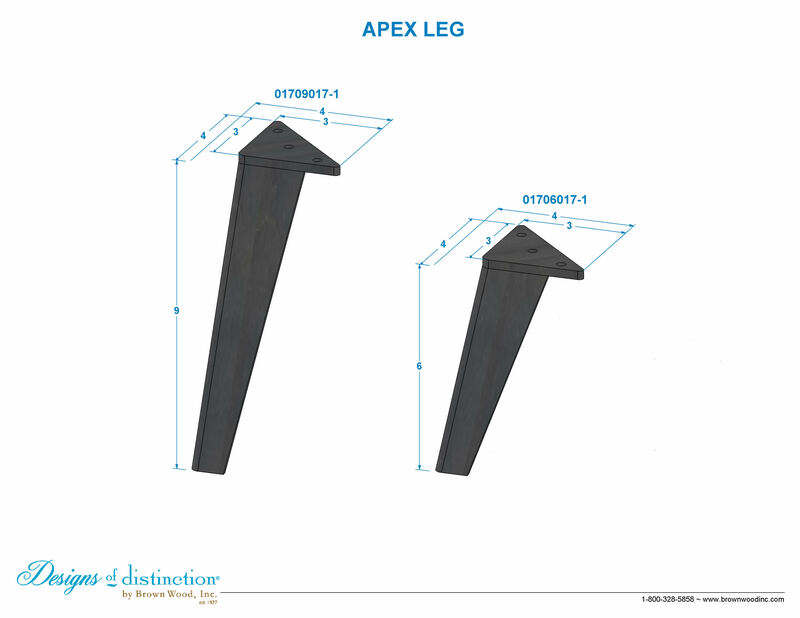 The Apex Industrial Leg has a 5.875″ top plate and comes in 5 powder coated finishes.